MANILA, Philippines- A motorist claiming to be an employee of Senator Joseph Victor “JV” Ejercito was caught on video attempting to bride an unidentified traffic enforcer. 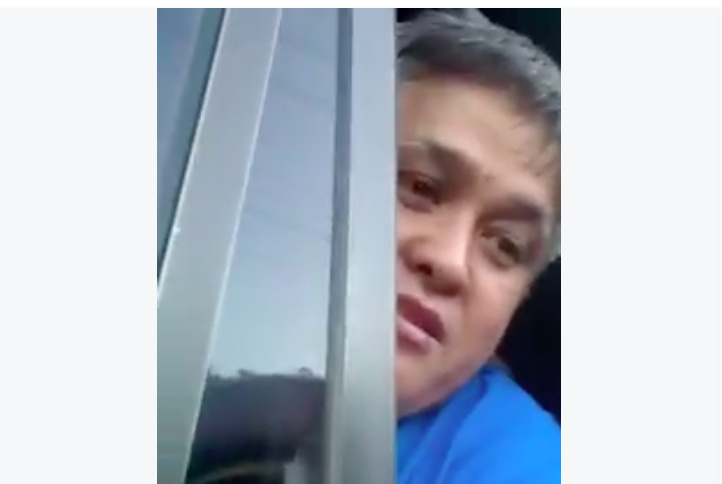 In the viral video posted by a certain Lenard Bernardo, the enforcer was seen stopping a colorum vehicle near the border of Pasig City and Cainta to inform the motorist that he is loading passengers in an area that was not designated for loading and unloading. Instead of surrendering his license to the traffic enforcer, the driver began name dropping Sen. Ejercito. Stating that he is connected with the lawmaker, the driver attempted to settle the matter by offering to pay the enforcer while the latter was issuing a ticket. But the enforcer chose to do the right thing and didn’t let the name dropping get in the way of accomplishing his duty. The video uploaded on Tuesday, February 2 quickly spread like wildfire on social media getting more than 6,500 shares on Facebook as of press time. On Wednesday, February 3, Sen. Ejercito denied the man’s claim that he is connected to the Senator and his Senate office. According to Sen. Ejercito, the man he identified as “Jun” is indeed from San Juan, Metro Manila but was never part of his staff. “It is unfortunate that he had to name drop me and my office just to get away with a traffic violation. Just want to make this clear with the video going viral in social media,” he added. If a PUV operates differently from its authorized denomination.